This post is part of a series on building better WordPress blogs. You can find links to all posts in the series at the bottom of this page. Back in the distant past (otherwise known as the turn of the century), blogging was something of a niche hobby, typified by “personal bloggers”. Online journals began springing up all over the internet, with people all too eager to reveal their personal musings to the world. These days, blogging is arguably the fastest growing form of content production, with over 70% of respondents in a recent survey stating that they read blogs. And as far as I can tell, personal blogging is as popular as ever. I am willing to bet that a healthy proportion of experienced bloggers reading this article started blogging with some form of personal online journal (I know that I did). But as a personal blogger, where do you start? Your blogging budget is probably non-existent, and your priorities are probably entirely different to most. But you’re building a blog for a reason — you still want to create something to be proud of. With that in mind, this article will take you through the most common things to consider when building a personal blog. As a personal blogger, you may have literally no budget. So although self-hosted WordPress is the best option, you may wish to start with a free hosted WordPress.com blog. If you do choose to go down the WordPress.com route, the usefulness of this guide to you stops here. You will be unable to pick from any and all themes available across the internet, and plugins are a no-go. In reality, a self-hosted blog will only set you back a few bucks — it’s probably something that you can afford to shell out for. Once you have your blog up and running, it’s time to move onto the fun stuff! You may be aware that there are an enormous selection of free and premium WordPress themes available across the internet. But as a personal blogger, you are probably not particularly interested in purchasing a theme. The fact is, unless your blog is going to be particularly complex, you will be able to find a free theme that suits your style perfectly. 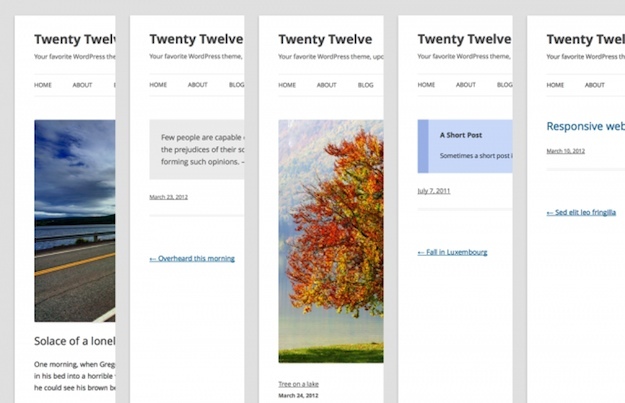 Twenty Twelve’s varied post formats — perfect for personal blogging. If Twenty Twelve isn’t to your tastes, you may want to take a look at Twenty Eleven — the previous default theme. In using a theme with the official Automattic seal of approval, you can rest assured that you are dealing with a stable and efficient product. You can find a selection of Automattic’s best WordPress.org themes here. If on the other hand you are feeling a little more adventurous, WordPress.org hosts an enormous number of free themes. The sheer choice of selection can be overwhelming, so my recommendation would be to start by browsing through our Free Themes of the Month series, which picks out only the best new themes available at WordPress.org. You can browse through the post archives here. Just click the “Install Now” link under the theme that you wish to use, and the theme’s files will be copied to your blog. That’s it! Once you have installed and activated a theme, you should be ready to move on. You could spend time fiddling with the fine details of your design (and it is all too easy to lose hours doing so), but you’re doing this to blog, not to fiddle! Your next port of call should be to consult our list of essential WordPress plugins. The word “essential” is a little more flexible for you as a personal blogger, because your priorities may be different to the vast majority of bloggers. You may not be interested in the kind of plugins that the vast majority of bloggers would consider essential, such as search engine optimization and analytics. Having said that, as a bare minimum, I would recommend that you install and activate Akismet (anti spam) and Better WP Security. Akismet actually comes installed as standard, so you can just go ahead and activate it. If on the other hand you’re intrigued by the world of plugins, you are in for a treat. There are a truly astonishing number of free plugins available via WordPress.org. As with themes, it can be all too easy to get overwhelmed, and our Plugins of the Month series is a good place to start. You may also want to check out this list of 36 plugins that every WordPress user could need. That’s it! As with themes, you may wish to start by keeping your involvement with plugins relatively limited. Kitting out your site with a number of bells and whistles may be fun, but doesn’t make a great deal of difference if you have no audience to experience them. Once you have set up your blog and sorted your theme and plugins, you are ready to start blogging! There really is nothing to it — just hover over “Posts” in the sidebar, click “Add New”, and you’re on your way! Although WordPress is absolutely packed with functionality, it is just a simple blogging platform at heart, and there is nothing to get in the way of you charging ahead with writing and publishing. If you are a regular visitor to this blog, you will find out a great deal about using WordPress in no time at all. 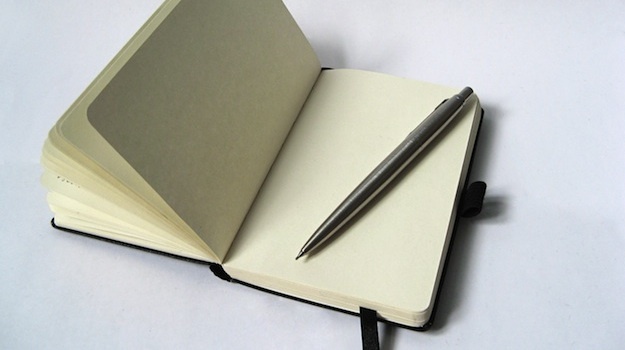 Do you already have a personal blog, or are you just starting one? Share it with us in the comments section below, and please feel free to add your tips for new personal bloggers!